satire |ˈsaˌtīr| noun – the use of humor, irony, exaggeration, or ridicule to expose and criticize people’s stupidity or vices, particularly in the context of contemporary politics and other topical issues. First, Ms. Leah Dunham. Though I don’t know her work much, I thoroughly enjoyed her article in the New Yorker. I thought it was cute and funny. 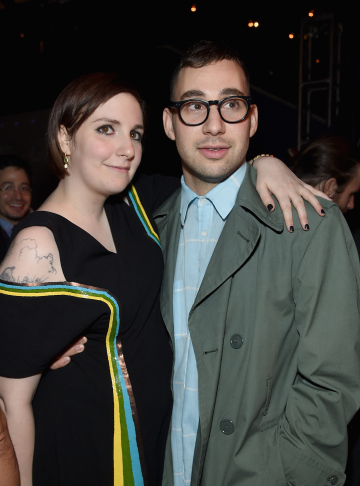 At no point did I think this was a malicious attempt to hurt her boyfriend, Mr. Jack Antonoff. My guess, my HOPE would be that he laughed at it. Ms. Dunham has a wonderful sense of humor, I would guess he does as well… or at least respects hers. Next I would like to thank Ms. Ruthie Blum at Observer.com. Her article about Ms. Dunham was spot on and voice the opinion I wanted to share and also revealed another woman’s point of view. Her insights helped me to enjoy Ms. Dunham’s work more. Lighten up people. Learn to laugh at yourself.